Looking for a property in Off Airport road? Have a property in Off Airport road? Old Airport Road is having all the features and facility. Off Airport road area, Bangalore is rated 9 out of 10 based on 1 user reviews. Have a good knowledge of Off Airport road? Share it and become a Locality expert. 3 BHK+Servant,apartment, 1636 sq. ft. in Pashmina Water front on Old madras road Bangalore for sale. Under construction Mittal Elanza apartment on Kogilu Road, Bangalore, India. 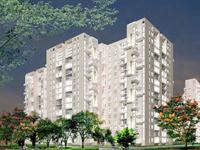 2bhk apartments for sale on Old Madras Road. 3bhk Semi-furnished flat for rent at Zen garden. 1400sqft Un-furnished Office space for rent at Cambridge layout. 1400sqft fully Furnished office space for rent at Cambridge layout. 1000sqft fully Furnished office space for rent at Cambridge layout. 900sqft fully Furnished office space for rent at Cambridge layout.